Today's Summer Blog Challenge prompt is to write up a little something about an alternative energy source. So, I am telling you about the first ever wind powered brewery located in the Outer Banks, the Outer Banks Brewing Station. 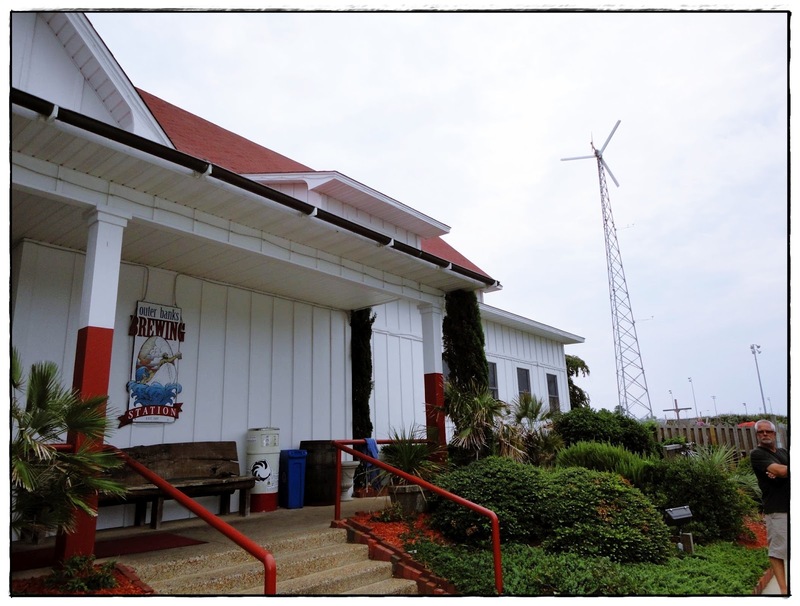 To learn more about the Outer Banks Brewing Station and their wind-powered brews, click here. Very cool. Just checked out their site. Will have to visit if I'm ever in the area. Ha! i obviously want a beer very badly. I limit the number of posts I read a day because I'm limited on time, but I saw beer and had to check it out! What a clever way to use wind in making a beverage. Would never have thought that it was even possible. That's so awesome! I love it. I think it's must-do for everyone now! Wind-produced beer. I've never heard of it before, but that's the best idea. Ever. I'm an amber ale kind of gal. Do they make a good one? Not that I'll ever visit the Outer Banks. Maybe the voodoo powers the turbines. J/K.